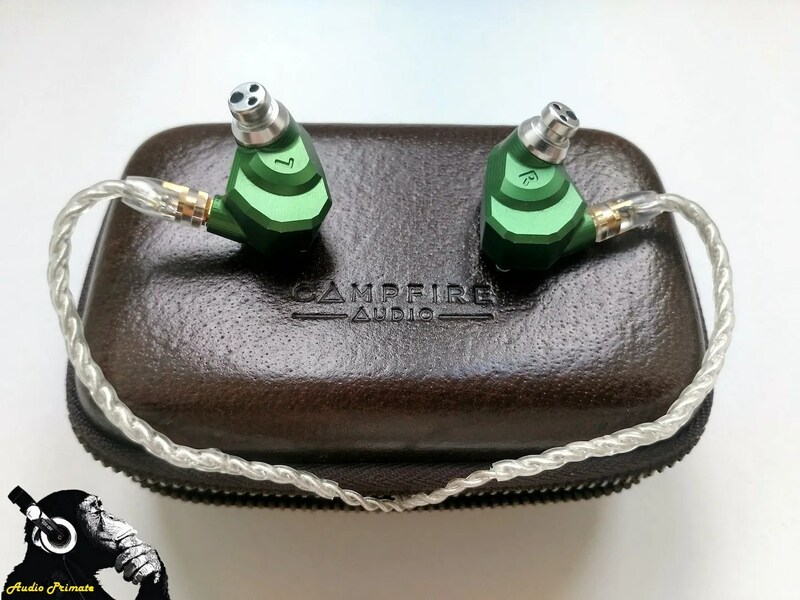 Anyone with more than a passing interest in high-end in ear audio gear costing more than $100 will most likely have heard of Campfire Audio’s jolly green giant and co-flagship of their current range. After reviewing some of their newer models (and being suitably impressed with all of them), I was finally able to get my hands on a pair in a trade deal with another Head-Fi member. I have owned these for the last few months, and after spending far too much time listening to them and not enough time writing about them, I decided to remedy that with this review. The views and (quite possibly misguided) opinions expressed here are entirely my own, and I received no financial incentive for writing them. 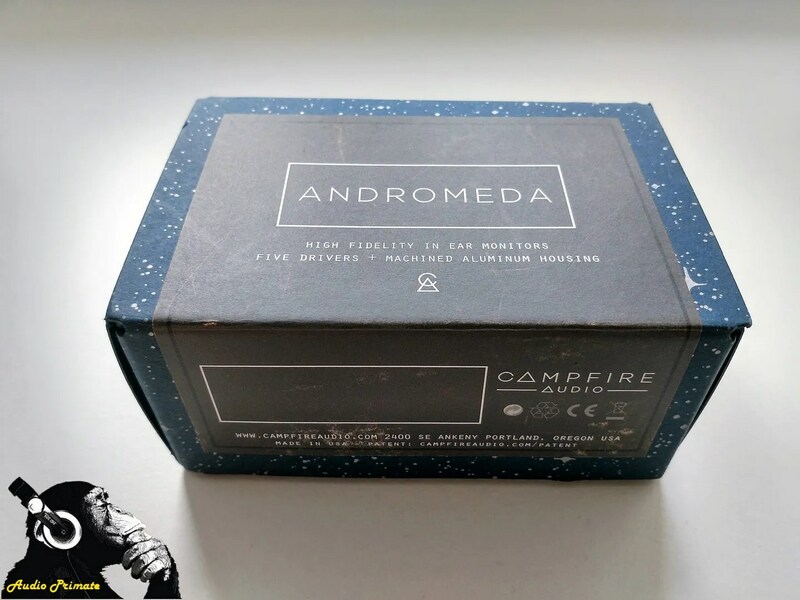 As with all Campfire Audio products, the packaging is a simple but classy affair, with the Andromeda coming in a small cardboard box slightly larger than the semi-hard carrying case the IEMs are stored in. 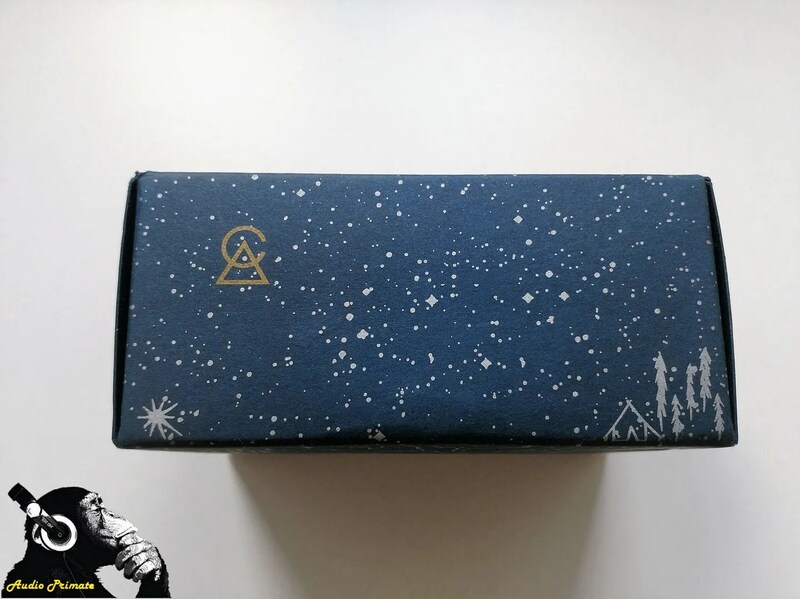 In keeping with their naming convention, the packaging has an intricate background of stars on the box and surrounding the main branding, giving a nice insight into the attention to detail evident throughout. 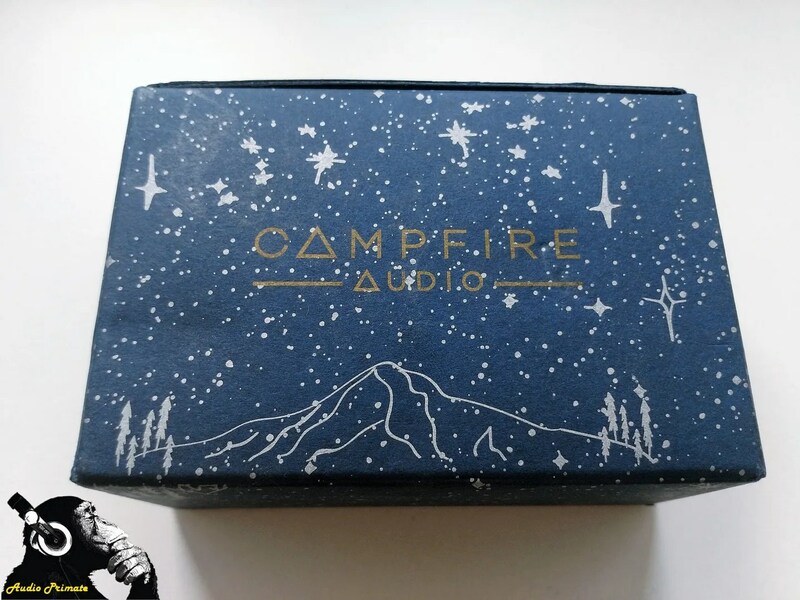 Opening the box uncovers the standard Campfire Audio fur lined carry case, sitting snugly in the box and resting on a small removable floor section, underneath which the selection of tips, standard CIEM style cleaning tool and the ubiquitous Campfire Audio lapel pin can be found. The tip selection is good, with three pairs of Campfire’s own foam tips, three sets of silicon tips with a reasonably wide bore and a pack of three SpinFit tips in different sizes. One of ALO Audio’s SPC litz upgrade cables and an earwax cleaning tool completes the package, and while this isn’t the most comprehensive or ostentatious load-out at this particular price bracket, all the pieces included are well thought out, adding a nice layer of class to proceedings. The Andromeda has an unusual geometrical design, utilising as many unexpected angles as an M.C. Escher drawing to give what is actually a fairly generic style CIEM shape the Max Headroom treatment and turn it into a work of industrial art. I have read comments from HF users who both love and hate the angular design, and I have to say I am on the fence about it. With the correct tips, I don’t find the shells uncomfortable or sharp to wear for extended periods, and they fill the bowl of the ear very well, but there is something about the sharp metal edges that just gives a little reminder every now and again that you have something stuck in the holes around the side of your head. For those who are put off by the lack of curves on the inner or outer face, please try before you dismiss these, as the fit should be more than comfortable enough for all but the smallest ear canals. 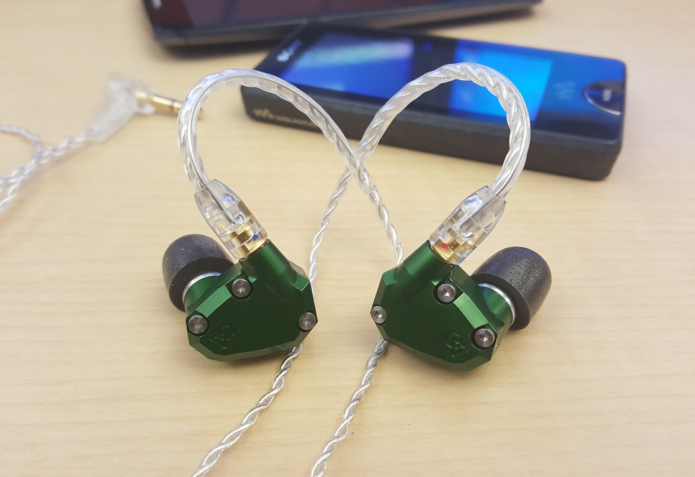 Disregarding the polarising angles, the Andromeda design is very good in terms of stability and isolation, fixing itself securely in the outer ear and remaining pretty immovable when used with the stock SPC Litz memory wire. 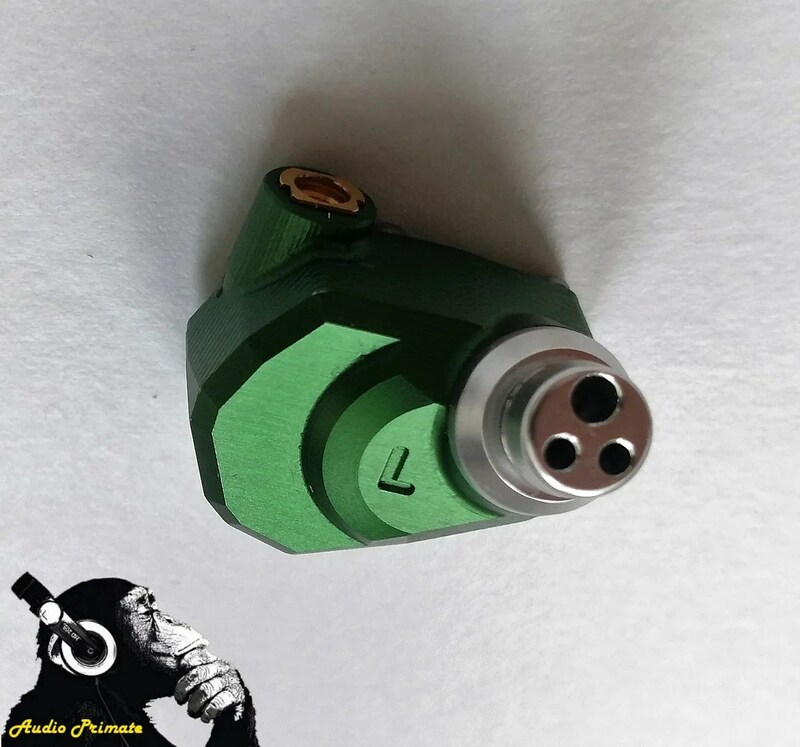 It isn’t an IEM that requires frequent readjustment, or fiddling to find the perfect insertion depth, as the internal geometry of the nozzle design angles it more or less perfectly into my inner ear. Granted, I have ear canals you could probably park a Mini Cooper in without too many attempts, but this is still a nicely thought out design in that respect. This is usually the section where I give a brief overview of the relative sonic strengths and weaknesses of the item in question, before moving on to explore these in more detail. It’s made a little more difficult in the case of the Andromeda, as (without wishing to over-hype it) it doesn’t really have any glaring weaknesses. The sound produced by the 5xBA setup from the Portland manufacturer is beautifully balanced, tonally accurate and superbly clear. This isn’t a reference monitor per se, but if what you are looking for is something with a natural sound, then the Andromeda has that in spades. All three frequency ranges balance each other out well, with a slight emphasis on mid range clarity and a sense of airiness and sparkle in the high end. The note weight isn’t huge, but there isn’t any noticeable lack of body that usually accompanies IEMs tuned for clarity or detail retrieval, the Andro managing to present an nicely weighted but still highly resolving sound, spaced out across a larger than average soundstage. Mids and treble are neither forward or recessed, sitting in the middle of the soundscape. Simply put, this is a tuning to listen to music with – not to listen to the individual notes or passgaes (although the technical capabilities are certainly there to let you do that), but just to sit down and let yourself get swept away in the sound. Delving a little deeper, the first test track up is “Mean To Me” by Mr Big. This song is recorded “live in the studio”, and kicks off at a furious pace another track, highlighting the resolution and texture of the Andromeda in the lower ranges. On smoother monitors, Billy Sheehan’s bass can almost be too fast to distinguish individual notes, but the all-BA Andro has no issue here. The bass is also distorted around the edges in the actual recording to sound like it was driven through a Marshall stack, and the Andro excels here, making each note rasp and growl without blending together as they fire through your ears at high speed. The lighter weight to the bass tuning here helps, treading a nice balance between texture and body to deliver a crisp but still impactful sound. Looking for more texture, “Bad Rain” by Slash and Myles Kennedy is up next, as this is one of my all time favourites testers for low end texture, underpinned by a deep bass line that crawls around the bottom end of the frequency range and growls like a hungry wolf outside a butcher’s shop window. The Andromeda handles the track with aplomb, the bass lines reaching down deep without losing their power, the rasp of the bass guitar strings vibrating against the fretboard clearly audible as the track kicks into life. This track also has a punchy kick drum accompaniment, and the Campfire drivers don’t disappoint here, not quite kicking out as much boom as something like the Vega, but still providing a nice layer of BA-style physicality. Listening to something a little smoother, the Andromeda’s more neutral leanings become a little more apparent. “Drift Away” by Dobie Grey is an old school soul classic, driven by a chocolate smooth and voluminous bass line that sounds like liquid velvet. The Andromeda handles this well, but definitely adds more more emphasis on the detail of the bassline at the expense of a little smoothness and body, coming across as almost dry or slightly chalky in its presentation. It is still high quality bass, but just presented with less liquidity. “Hello, It’s Me” by Sister Hazel sounds similar, the huge and viscous bassline that dominates the opening of the track sounding more dry and solid rather than liquid and oozing as it builds into the main body of the song. Switching emphasis to sub-bass highlights one of the areas that the Andromeda is weaker in, with the drivers extending down into sub territory, but losing a little volume and quantity the further they go. Listening to something like “Heaven” by Emile Sande is usually a head-shaking experience on more bass-tilted in-ears, with the sub bass foundation throbbing away throughout the song and balancing out Sande’s crystalline vocals and sharp snare and cymbal percussion in the higher registers. The Andro does manage to put out alittle tickle in the sub registers, but it is merely a whisper compared to something like the 64 Audio U8 or Vega in this regard. If your music catalogue contains a lot of sub-driven music, the Andromeda probably wouldn’t be my number one suggestion, just lacking enough body to really provide the foundation for these type of tracks that they require. Overall, bass quality is high, with the focus firmly on quality over quantity, and a slightly north of neutral presentation that emphasises speed and definition over body or slam. Unless you are looking for an out and out bass monster, this tuning is enjoyable enough for all but the most demanding sub-bass driven tracks, so it is yet another case of “nicely done” for Ken Ball and his tuning team here. Moving into the mid-range, the real character of the Andromeda starts to reveal itself, with a smooth but detailed tonality and crystal clear resolution. This is a tuning that shines a spotlight on the subtle detail in a track, but manages to do so in such a way that it still remains in balance with the “bigger picture”, allowing the listener to hear right through the recording with ease. Staying with Vance, “Bangor Town” highlights the clarity of the Andromeda’s mid-range, the sounds of fingernails scraping against heavy-gauge guitar strings and the subtle vibrato in the acoustic guitar notes all sounding crystal clear in the ear. Unlike the bass, this level of detail and texture doesn’t come at the expense of the body of each note, with the Andromeda painting a thicker and more robust musical picture here. Notes feel more full bodied and rounded, carrying a little more gravity than the bass. This isn’t to say that the midrange feels overly thick or congested, but there is a definite sense of physicality to the sound that adds a nicely organic dimension to temper the more analytical leanings and capabilities of the drivers. This is one of those rare tunings that can hit you over the head with the body of a note, and let you appreciate the fine grain of the baseball bat as it bounces off your noggin at the same time. Guitars are well handled by this sort of presentation, with plenty of crunch and speed to handle heavier rock tracks, along with the resolution to hear the individual scuffs of each string in quieter passages. “Blame It On My Youth” by Mr Big blasts through my ears without pausing for breath, the harmonic heavy and distorted guitar lines screaming with more bite than a sack full of dentures. The edges of each note are crisp and punchy, giving the necessary energy to Gilbert’s guitar work without sounding too dissonant or aggressive. “Shadow Life” by Slash is similarly breezy and well-executed, the main riff hitting with weight and definition, stopping on a sixpence as the quick-fire riffs interchange and sounding suitably sleazy and raucous when required. The presentation here isn’t overly thick, but there is enough body to the notes to avoid the guitar work sounding thin or reedy, holding its ground against the helium fuelled vocals and quick fire drums in splendid coherence. Trying a little more orchestral music, “Palladio” and “Kashmir” by the string quartet Escala are up next. Starting with Palladio, the texture of the strings is rich and detailed, the soundstage dimensions enabling the full sweep of instruments as the track gets into full flow. The subtle noise of chairs and stands being adjusted at the start of the track is clear if not over emphasised, highlighting the unfussy presentation of fine detail without loss of balance that the Andro excels at. The harpsichord in the middle of the track is delicate and shimmering, the notes feeling almost gossamer like as they tinkle over the meatier strings bowing beneath. This was the first track that almost sounded sharp using the Kombi tips and my Echobox Emplorer – foam provides a smoother tonality for that particular DAP/IEM combo here. Moving on to their collaboration with Slash, “Kashmir” is a unique blend of chugging guitar and heavy string refrains, and carries a solid weight. The Andro manages the wall of mid range sound beautifully, the strings feeling textured and rich against the more jagged guitar licks that make up the main body of the track. Again, the sound feels clear and highly resolved, the quin-driver setup of the Andromeda making it easy to pull different strands and textures out of the sound without any effort. Piano is another instrument that sounds true to life with the Campfire, having a satisfying body to the individual notes and a very coherent presentation. It just sounds real. Listening to something like “Speeding Cars” by Walking On Cars, the haunting piano refrain that opens the track just hangs in the air behind the singer like you had a baby grand piano sitting right in the back of your skull. Electronic keyboards also sound good, “Go” by the Chemical Brothers kicking into the chorus at around the 2 minute mark with a swoosh of old-skool synth that carries you along with the track, lifting the listener up into the euphoric chorus. Finally, my two usual testers for midrange harshness and sibilance “Whiskey And You” by Chris Stapleton and “Starlight” by Slash) are up for assessment. Both tracks sound angular and raw when required, but neither stray across the boundary into harshness or dissonance that they are easily capable of on harsher IEMs. This isn’t due to any smoothing or lack of detail in the range, Stapleton’s gravelly roar sounding as powerful as ever, but not scratching at the eardrums in the process. Similary with the deliberately harmonic-driver Starlight, the Andro copes both with the stratospheric warblings of Myles Kennedy and the distinctive guitar refrain without making the listener leave their comfortable audio place, and just lets them bask in the full sonic glory of the track. Overall, despite only having one driver allocated to this specific frequency band, the midrange is an exceptionally accomplished piece of tuning, presenting body and detail in equal measure. It has a natural clarity that is quite rare, and offers the sort of insight into tracks that makes you want to utter the classic audiophile mantra “I’m hearing things I have never heard before” on some of your favourite tracks. This is where the rubber really meets the road with the unique technology that Ken Ball and company have crammed into the angular green shells of the Andromeda. 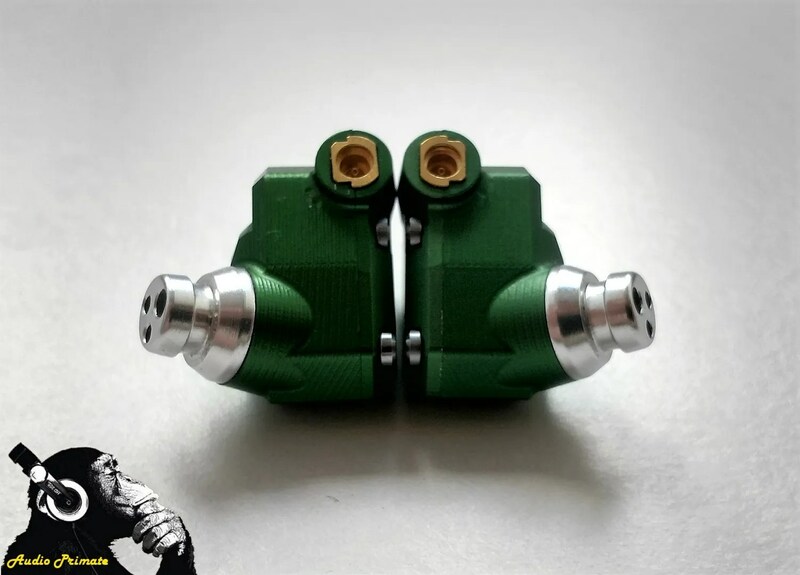 The catchy acronym they use is TAEC, which stands for Tuned Acoustic Expansion Chamber, effectively a tubeless resonator box in the nozzle of the IEM that is designed to blend the outputs of the high frequency drivers and bounce them around in a 3D-printed chamber before delivering them to the ears of the listener. Campfire claim that this helps provide the airy, extended treble that the Andro is known for, and I have to say that whatever it is doing, it seems to work as advertised. The treble on the Andro is a crisp, sparkling affair, full of air and space up top and bags of definition. It doesn’t feel hot or over-emphasised, but just cuts through the body of the midrange sitting underneath and opens out the sound nicely as it rises into the rafters. Cymbals were the first thing I noticed that benefit from the treble presentation, sounding crisp and decaying with a natural sparkle and shimmer. “Right Now” by Van Halen if a great example, with Alex Van Halen’s constant cymbal crashes floating over the the top of the piano driven power ballad like a metallic canopy and adding a real crispness to the sound. Sticking with Van Halen, “When It’s Love” sounds fantastic, the layered synthesiser opening and driving hi-hat work sounding expansive and filling the upper end of the stage with an all encompassing wall of sound without making it feel closed off. Switching up to more electronic fare, “Go” by The Chemical Brothers kicks off with a similarly large synth driven sound, the stage again feeling tall and wide, and the sweeping keyboard run that precedes the chorus giving a genuine unison if starting well outside the ear as it fizzes across the stage from left to right. This is a tuning that is almost tailor made for this sort of synth heavy electronic music, giving a big and bold presentation without going too heavy on the sharpness, but still feeling crisp and sparkly. Despite the treble emphasis, the Andromeda is not a harsh monitor, and is pretty forgiving of most of my spicier recordings. “Whiskey And You” by Chris Stapleton passes through without unduly bothering my eardrums with its problematic chorus (although it did sail close), and Emile Sande and her hotter-than-a-chilli-eating-contest-in-hell mastering on “My Kind Of Love” only mildly irritate. This is treble for the purists and the proletariat alike, bringing out the best elements of the higher frequencies without alienating the more “consumer friendly” audience. Guitar solos shimmer and wail, harmonics hang in the background like fine mist, and everything north of the midrange gets served up with a king sized dollop of sparkle and brilliance. 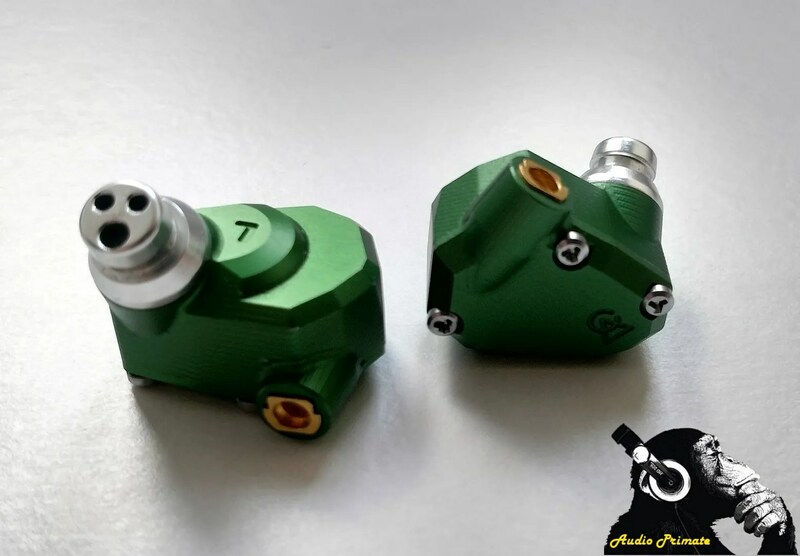 I could keep writing ad nauseam on the capabilities of the unusual technology baked in to the brilliant green IEM shells, but suffice to say that if you are a fan of clean, sparkling treble, you won’t find much on the market that can do it better than the Andromeda. 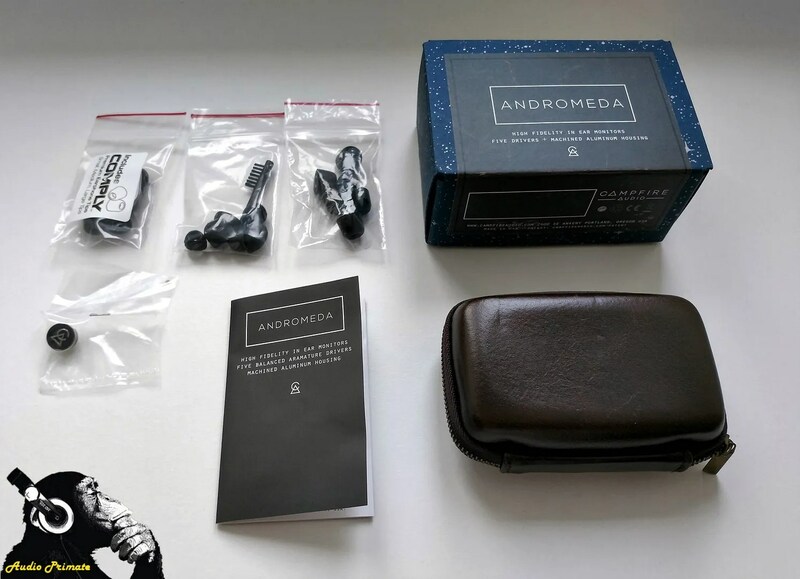 The Andromeda has a very spacious stage for an in ear monitor, giving a sense of scale to the sound that pushes out of the ear in all directions. Absolute left/right width doesn’t feel super-stretched, as there is also ample depth to the sound to bring the imaging firmly into the very over-used “holographic” territory, packing substance as well as spread. Imaging is precise, helped by the clarity of the presentation and the only-slightly-thicker-than-neutral note weight, planting the various musicians around the soundstage with a very clear sense of where the notes are coming from, and where in the soundstage the instruments are planted. Overall, this is another area where the tuning of the Andro excels, painting a picture where all the elements can clearly be followed by the listener, allowing for complex passages to be digested as easily as some two-bar blues. The Andromeda is a very source-sensitive IEM, with an response curve that is highly susceptible to changes in output impedance. In real terms, this means that the higher the OI of your source, the leaner and drier the Andromeda will most likely sound, gaining bass and body as the OI drops. This allows for some element of tuning, but on the flipside definitely makes the Andro an IEM that can pick favourites. It also has a tendency to hiss more than an angry cat with a hangover, so added to the change in response, those sensitive to background noise will need to find something with a blacker than usual background to mitigate the ssssssss noise that will otherwise start emanating from the Campfire flagship. The Echobox Explorer is a good example of a source that accentuates the leaner and meaner traits of the Andro, putting out a lower than expected bass presence and sharpening the treble slightly over other DAPs I have used. This makes the Andromeda sound a little more analytical, taking some of the warmth and natural timbre out of the sound and replacing it with a little more subtle detailing and a leaner texture. For my personal preferences, this isn’t the best of pairing, and while it certainly doesn’t sound bad, it doesn’t really make the most of the Andromeda’s natural sound. In contrast, a good pairing is the Opus #3 from TheBit – with a very low OI, the #3 exhibits pretty much no hiss, with slightly more bass presence than the Explorer and marginally less sharpness in the treble. Despite the additional warmth, detail feels slightly higher than the Explorer, but sound is a little more bodied as well. Sound stage also feels notably larger. This is a very good pairing, only bested by the QP2R out of all my sources. Speaking of the QP2R, this was the source I felt really took the Andro to the limit of its capabilities (with my current sonic setup at least). The warm and dynamic sound of the Questyle meshes beautifully with the clear and natural sonics of the Andromeda to maximise the potential of both units. Detail and clarity is emphasised, while still retaining the body and musicality of the underlying notes. Hiss isn’t too much of an issue, and overall, the combination just seems to bring the best out of both partners, presenting a vibrant and engaging sound with bags of detail and a sensational feeling of balance. As far as personal audio “end game” matchups go, I would definitely suggest these two as a contender for that crown for fans of the basic Andromeda sound. IMR Acoustics R1 – The R1 is the first model being launched by IMR Acoustics, the new company set up by for Trinity Audio head designer Bob James. They are a hybrid dynamic and ceramic driver IEM, expected to retail at around the £600 mark once released. I have chosen this comparison due to the similar approach to tuning shown in both models, with an emphasis on tone and organic reproduction of sound. Starting with the bass, the Andromeda has significantly less presence vs the R1 using the purple filters, with the IMR model carrying a fair bit more weight in the sub and mid bass ranges. The notes are also thicker on the R1, with the Andro carrying as much or more overt detail at each interval as the sound rises through the mid and treble ranges, but in a slightly thinner presentation. The lack of bass weight gives the Andromeda a more neutral feel to the presentation, with the notes swooping round a stage with more fell of air due to the sizing. With regards to clarity, the Andro pulls ahead slightly due to the lightness of its notes, but in contrast the R1 presenting a more convincing sense of depth with its weightier presentation as music pans around the stage (a good track to highlight this is “We Found Love” by 2Cellos, which has a swooping cello run around the 1.50 mark in the left ear that feels a little more fleshed out on the R1). Opening the ports on the IMR model makes things a little more competitive in regards to air and space in the soundstage as the bass pressure levers off slightly, allowing the midrange a little more freedom to move. The Andro is still ahead in this regard, although the gap is comparatively smaller, with the Andro just feeling a shade more clear and refined. Build quality is again similar between the two, with the unique industrial design of the Andomeda just nudging ahead of the R1 – as this is a pre-production model, the final article may be a little closer overall. 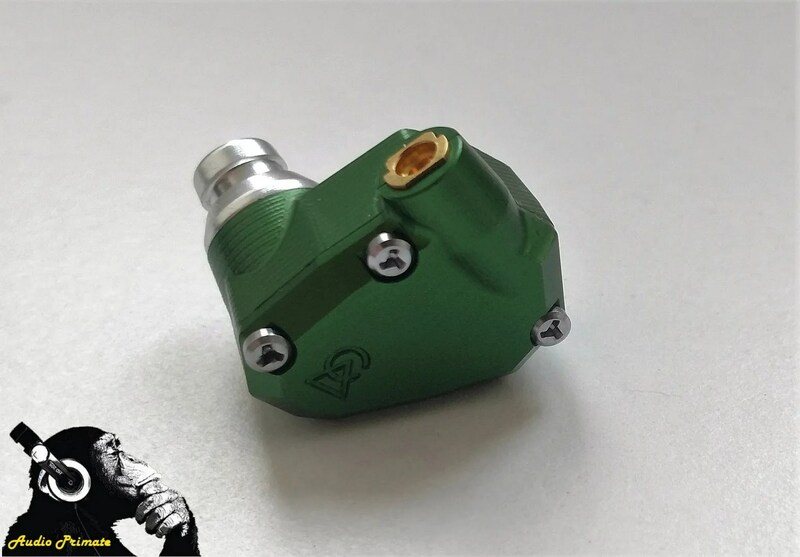 IN terms of comfort, both IEMs sit in the ear well and provide good levels of isolation, with the Andromeda providing slightly more due to its sealed aluminium shell compared to the ported and vented design on the R1. In terms of power requirements, the Andromeda is considerably easier to drive, requiring less power to reach a good listening volume. It is more sensitive to impedance of the source, giving slightly different levels of bass and treble depending on the DAP/source being used. The Andromeda also hisses significantly more than the practically jet black R1 on most of my music sources. 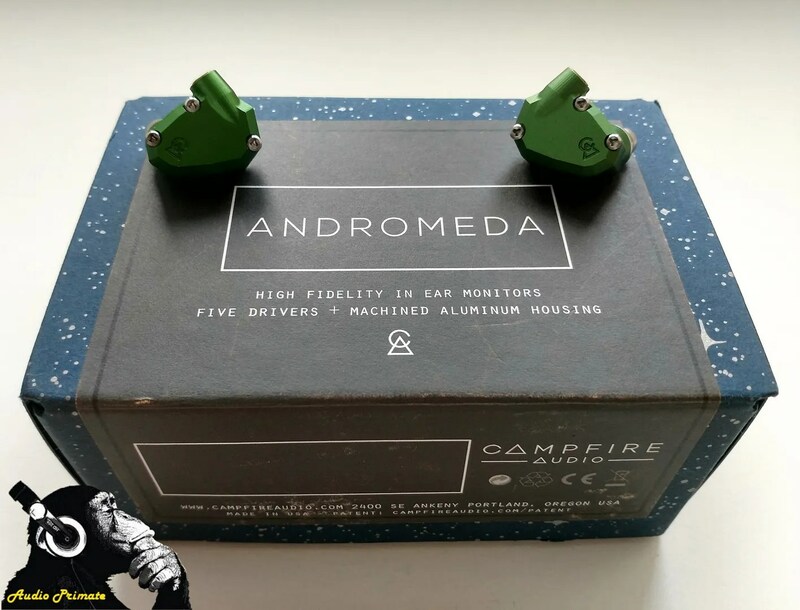 Overall, the Andromeda provides a more balanced and refined sound than the R1, which you would expect at approximately twice the price. 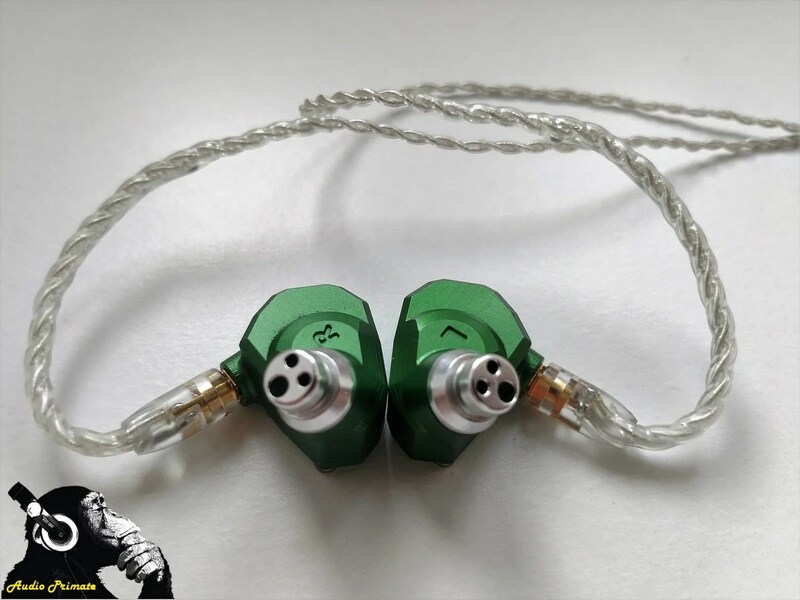 Both IEMs share a nicely musical take on sound reproduction, and while lower, the R1 certainly doesn’t feel a million miles away from the Andro in terms of overall quality, and is certainly pretty close in terms of sheer enjoyment factor. 64 Audio U8 (universal, M20 APEX module) – the U8 is a “middle child” model of 64 Audio’s current range, sporting 8 balanced armature drivers and their proprietary APEX pressure relieving technology. It is priced in the same bracket as the Andromeda, and shares a similarly musical tilt to the tuning. Starting with the bass, the U8 has a heavier emphasis on the low end, as you would expect with 4 (!) of its 8 balanced armatures dedicated to the lower frequency range. Technically, the two IEMs are similarly capable when it comes to bass texture and detail, with the U8 nudging ahead in terms of absolute quantity and depth of sound, holding strong as it drops into thrumming sub-bass, in comparison to the Andromeda’s good but not head-shaking sub bass extension. Layering in the deepest bass recesses is also slightly better and more nuanced on the U8, which is again to be expected with the number of drivers in play. Physical impact is also won by the U8, providing far more “oomph” and rumble than the Andromeda. Moving to the mid-range, the Andro delivers a slightly crisper and crunchier sound, at the expense of a little bit of the body that the U8 delivers. Listening to the crunching guitars of “Bad Rain” by Slash, the Andro gives just a hair more detailing on the individual notes making up the chord, with the U8 countering with a less detailed but chunkier sound, filling more of the space between the notes. Listening to orchestral instruments helps highlight the difference between the two quite well – the opening cello on “We Found Love” by 2Cellos has a vibrato on the phrase that starts about the 20 second mark, as the cellist wrings the expression out of the notes. On the Andromeda, it feels more crisply defined, almost leaving you with a picture of the cellist’s fingers vibrating against the neck of the instrument. The U8 still captures the emotion of the phrase, but the details feel less sharp and more full bodied. This body helps the U8 fill out the deeper sections of this track better than the more neutral Andromeda, trading off absolute definition for more physical presence. In terms of detail and clarity, both IEMs have very good resolving capabilities, but the Andromeda gives a slightly higher level of micro-detailing due in part to its less warm presentation and lack of bass emphasis. Lastly, the treble is an area where the Andromeda has a clear advantage in terms of air and sparkle, feeling sharp and crisp in comparison to the darker sounding and more smooth U8. Detail levels are perceptibly higher in the high ranges on the Campfire model, with the warmer tuning of the U8 still retrieving plenty of audio information, just presenting it in a less crystalline fashion. Neither have harsh treble, but for lovers of the higher frequencies, the TAEC tech in the Andromeda is hard to beat here. In terms of soundstage, both IEMs are pretty similar, with the spacious Andromeda going toe to toe with the marginally larger feeling U8 in terms of overall size and depth. 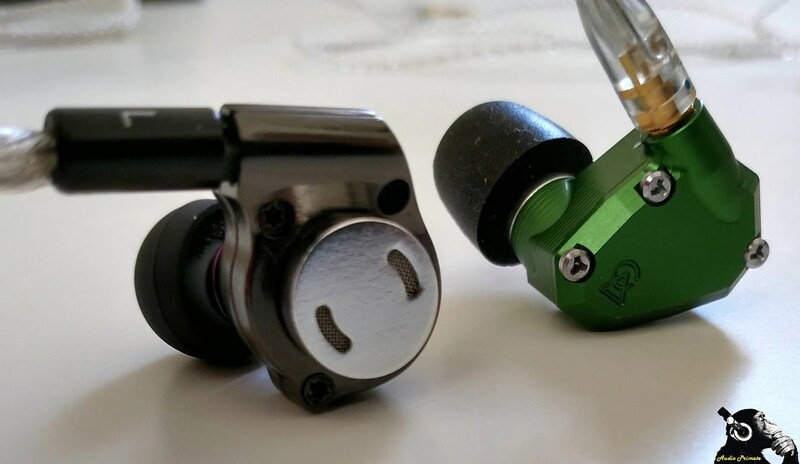 Both IEMs give a solid and 3 dimensional image. The Andromeda are a little easier to drive than the U8, but as a payoff they hiss considerably more than the U8 with its practically jet-black background. Separation is slightly better on the Andromeda, due to the comparatively thinner weight of each note, allowing a little more room to breathe between each instrument. Build quality is won by the Campfire model with its unique industrial design and all-metal build, but comfort goes to the 64 Audio middle child, its longer stems and more rounded shell shape making it easier to wear for extended listening, and the APEX tech minimising audio fatigue and any associated effects of pressure build up in the ears. Accessories are a draw, with the 64 Audio model having a better case, but the Campfire package including a better stock cable and more usable tip selection. One final point to note – both of these IEMs are sensitive to the output impedance of the source being used. It is common knowledge that the 64 Audio “U” line has mainly been tuned with stage gear in mind, which usually packs a far higher OI (5+ ohms) than current audiophile daps (which usually come in at under 1 ohm). This means that using the U8 on a higher OI source like the Shanling M2s yields a cleaner, more balanced sound as it flattens out some of the bass emphasis. The Andro is similarly easily affected, so please note that the comparison described above may not be exactly what you hear, depending on the setup you are using, as the tuning on both models can be quite significantly affected by your player. For reference, I prefer using the U8 with something like the M2S to balance out the sound and eke out a bit more clarity, and the Andro with something like the Opus #3, to make the sound as full bodied as possible. Overall, this comparison was a lot closer than I initially expected, the U8 providing a very stern challenge in terms of sheer musicality, and definitively holding the cards in the bass areas but losing out as you climb further up the spectrum. It comes down to what you are looking for in the tuning here – the U8 is a warm and bassy sound with good clarity but isn’t a detail monster, with the Andro presenting a more neutral sound but with a crisper and more detailed edge, and a more balanced tuning overall. The Andro just nudges this one for me in absolute terms, but in terms of preference, I could possibly swing the other way. 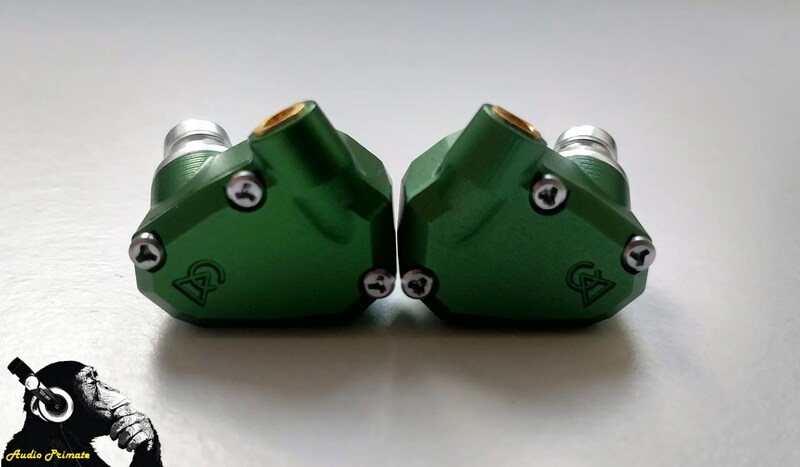 Empire Ears Athena-VIII (CIEM) – the Athena are another “middle child” model, sitting towards the upper end of the Empire Ears lineup, with only the Apollo and Zeus models higher up the pecking order in terms of both driver count and pricing. The Athena sport 8 balanced armature drivers in a 2-low, 3-mid, 3-high configuration using 5 crossovers. They are prices at around $1299 at time of writing, so slightly more expensive than the Andromeda. 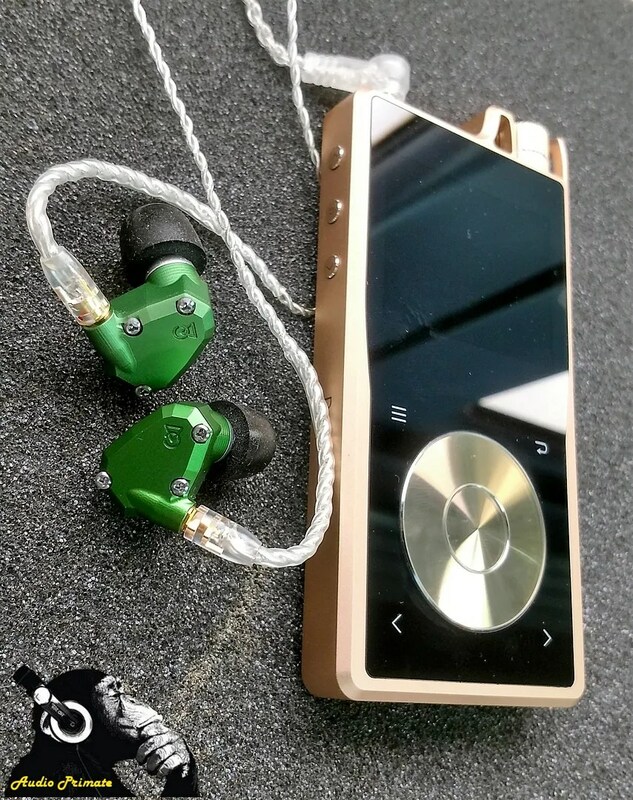 The Athena are another musical sounding IEM, having a more forward midrange and beefier bass emphasis at the expense of some top end “fizz” in direct comparison to the Andromeda. Starting with the bass, the Athena has more quantity than the Andromeda, being the bassiest of the non-Savage line currently in production by Empire. Quality is again similar, both IEMs producing good texture and detail in the lower end, with the Andromeda sounding a little less forward and bodied than the warmer and more “in your face” style of the Athena. To be fair, neither IEM could be considered a basshead tuning, so please take this in context, but the Athena definitely feels like it delivers more substance in the low end, possibly at the expense of a little of the tautness and control that the Andromeda shows in this regard. Sub bass is won by the Athena, with a little more overall impact in this region than the Andromeda. Moving to the mid-range, this is definitely a battle of different styles, with the Athena presenting a much more forward sound in the vocal ranges, pushing the singer right to the front of the stage and halfway over the front row. Mixed with the warmish tuning, this can take a little getting used to at first in comparison to the more neutral positioning and “cooler air” of the Andromeda staging, with the Andro initially seeming like the more detailed and clearer monitor. Once the brain kicks in to the Athena signature, there is plenty of clarity and detail to be found, but it feels less expansive and spread out than the Andromeda. Guitars have a crunchier and more crystalline tone on the Andromeda, feeling slightly more organic on the Athena. The resolution of both monitors here is excellent, with the Athena providing more body and emphasis in the midrange in comparison to the more neutral but still exceptional sounding Andromeda. Treble is presented very differently on both IEMs, with the Athena putting out a clear and clean treble, but lacking in air and sparkle in comparison to the more soaring and spacious Andromeda. The Andromeda also has the better perceived extension here, the space around the notes in the rafters giving the impression of a much higher “ceiling” for the sound. Neither monitor is prone to sibilance with most tracks, with the Athena being the slightly smoother and more forgiving of the two in this regard. Accessories and loadout is better on the Empire IEM, with their carrying case and various bags and cloths giving a slightly more luxurious feel than the standard Campfire presentation, with the exception of the SPC Litz cable provided with the Andro. Build quality is a draw, with the high quality acrylic CIEM manfacture looking flawless on the Empire gear, and standing up well to the iconic all-metal Andromeda design. Comfort and isolation wouldn’t be fair to compare, as the Athena is a CIEM and the Andromeda is a universal model. Separation and layering are a mixed bag, with the warmer and more forward Athena still doing an excellent job of peeling the sound back into layers around the listener, but sometimes lacking the more airy and widescreen style presentation of the Andromeda and the additional space between instruments on the soundstage that provides. The Athena is actually one of the only IEMs in my collection easier to drive than the Andromeda, and hisses marginally less on my less forgiving sources, which was surprising. Overall, these are two very different IEM tunings, neither of which comes out as a clear winner. If you like your sound crystal clear and spacious while hovering around the musical/neutral border, I would suggest the Andromeda. If you prefer a more forward midrange and slightly warmer and more musical slant to proceedings, the Athena will be the winner here. with both IEMs providing bags of resolution, detail and texture, neither would be a bad choice in this price bracket. Empire Ears Zeus-XR (CIEM) – this is the current 14 BA flagship of the Empire Audio range (in fact, dual flagship, as it has a tunable crossover which imitates either the Zeus-R or Zeus-XIV models through a hardware switch on the shell). The Zeus-XR is approximately twice as expensive as the Andromeda at time of writing. In terms of the bass, the Andro presents a slightly more organic and warmer overall sound, with a little more heft in the mid-bass and similar extension but a shade less body in the sub bass region. Both offer excellent texture and control, being two excellent examples of a well-tuned balanced armature bass – compared to a high end dynamic driver like the Vega they can lack a bit of impact and physicality, but neither can be described as anaemic or bass-light, both treading on territory that sits just a little north of neutral. For me, it depends what genre I am listening to as to which I think is “better”, with both tunings suiting slightly different styles of music. In terms of overall quality I think the Zeus just shades it, but that is as much preference as a definite night and day differential. Mids are an interesting comparison, with the Zeus’ famous mid-forward sound coming up against the silky smoothness of the Andromeda. This is an area that is too difficult to call, with the Andromeda carrying a little more weight, but the Zeus feeling slightly airier and more resolving. Both IEMs have excellent clarity, and can really evoke the emotion in a vocal line when needed. At this level, it is very difficult to pull the two apart, and these truly are two of the best midranges in the game at the moment (in my opinion, of course – the usual caveats about personal taste and the subjective nature of sound apply). Moving up to treble, this is again another example of different styles but similar excellence, with the Andromeda feeling cavernous and airy up top, and the XR showing a laser-like focus and clarity, but a little less “sparkle”, having a cleaner and less diffuse tone. Again, both are at the top of the tree in execution and quality, with the Zeus carrying a little more weight and feeling a little sharper on occasion, and the Andromeda giving a real “out of head” experience and sparkle to the higher treble reproduction. In terms of accessories, the Zeus has a slightly upgraded accessory pack in comparison to the Athena as it includes a Whiplash SPC upgrade cable, so is a clear winner over the Campfire model here. As mentioned in the Athena comparion, it is unfair to compare isolation or comfort between this CIEM version and the universal Andromeda. Overall, despite the difference in cost, these are two of the best operators in the higher end of personal audio at the moment, and for many, personal preference about the sound they are after will be as important as the technicalities of the IEMs at this sort of level. For my money, the Andromeda has a more immediately enjoyable sound, but the Zeus in both configurations just pulls clear in terms of clarity and overall resolution, showing a higher level of detailing while still retaining an emotional connection to the music, so would just get the nod if I had to pick only one. Unique Melody Miracle V2 – the Miracle V2 is a 6-driver model from Chinese manufacturer unque Melody, and retail for a similar price to the Campfire model. They aren’t the flagship model from the current UM lineup, but are very well regarded. Compared to the Andromeda, the Miracle are tuned slightly thinner in the mids, giving a sharper edge to guitars and stringed instruments, but they are tuned a fair bit heavier in the lower frequencies, giving a bigger sub and low mid bass presence. The overall sound doesn’t feel quite as “fleshed out” as the Andro, and also has a slightly narrower staging in comparison to the Campfire model. It almost feels like the Andromeda is slightly larger in all three dimensions in terms of the sonic image, with slightly larger sounding notes. Starting with the bass, “Palladio” by Escala is very well handled by the Miracle, the thick weight of bass adding nice undertones to track in comparison to the lighter and more delicate Andromeda. Violins feel slightly less emphasised but more tonally accurate on the Andro, the presentation giving more air to the track, where the Miracle V2 feels richer and more velvety. The Andromeda lacks a bit of viscerality compared to the almost DD bass of the Miracle, but again sounds the more balanced and organic. Moving through to the midrange, high string notes feel more delicate and ethereal on the Campfire, whereas the Miracle feels a little sharper and thinner ins direct comparison. Firing up “Starlight” bu Slash, the Andro is better able to handle the intro, giving a less harsh tone but still presenting a nice crispness to the hihat compared to the mute truncated Miracle. Myles Kennedy’s voice sounds more organic, with a bit more warmth and weight and a more forward stage positioning. In terms of midrange detail, the Andro feels a little more resolving, but not by a massive margin. There is a mid range spike in the Miracle tuning tat can sometimes rear its head, adding a sense of artificial detail and harshness on occasion. Treble is won by the Andromeda, producing an airier and more sparkling sound up top, in comparison to the darker and more subdued Miracle. 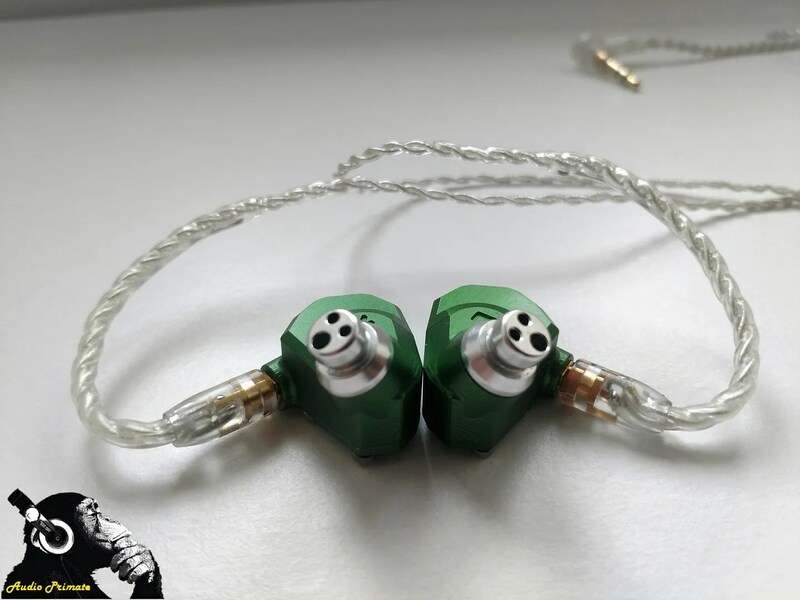 The UM just lacks the headroom and space of the Campfire model, so unless you are looking for a darker tuned IEM, this is one area the Miracle definitively falls behind. In terms of driveability, the Andromeda is less demanding, but has an equally dark background to the UM model. Overall, the Miracle sharpens the sound into more of a V, with a thick and dry bass but thinner mids, and presenting a deep but narrow stage in comparison. The Miracle does isolate better than the Andromeda, with almost custom levels of sound blocking, but is more tip dependent. Final thoughts on this pair up are that this is an interesting battle – the Miracle V2 pins its flag to the mast of a rich and dense sound, eschewing space and sparkle for a meatier and more aggressive sound – if the Andromeda is a sparkling champagne, the Miracle is more of a punchy red wine, satisfying if you are in the mood for that sort of sound but just lacking the final bit of refinement if you are looking for that true “high end” experience. The Andro for a convincing win for me here. If you haven’t already guessed by now, the Andromeda is definitely an IEM I am impressed with. It is a truly musical experience, wrapped in a unique all-metal shell and packing some seriously innovative tuning technology. It also disproves the myth that more=better where it comes to driver counts in IEM design, taking a positively paltry (in TOTL terms) 5 balanced armature drivers and producing a smoothly cohesive, finely balanced and just flat out impressive sound signature. There is just very little to dislike in all aspects of the tuning. Yes, it could have a little more bass presence (but CA have the Vega for that), it could have a bit more weight through the midrange, and it could possibly wear a little easier in the ear, but these would all probably take more away from the finely balanced sound than they would bring. It is always difficult to write a review this glowing without drifting into hyperbole, but the Andromeda simply doesn’t have that much to complain about. Unless you are a fan of a hyper-analytical or bass-heavy sound, the Andro will probably have something in its arsenal to make you smile, and sound damn good while it’s doing so. As with all “TOTL” models, once you reach this rarefied atmosphere it is as much about tuning and preference as raw physical capability, and this is definitely very much int he realm of diminishing returns compared to models in the $300-$500 bracket, but to steal the end quote from one of my previous Campfire Audio reviews – this is just far too “Nicely Done” to complain. A super all-rounder from Ken Ball & Co, and highly recommended if you are in the market for something in this sort of price bracket.